Join us on Saturday, May 11, 2019 at 11:30 a.m. at Takara Sushi located at 150-11 14th Avenue, Whitestone, New York for a Free Focus Group on Recruiting and Training Libertarian Candidates hosted by renowned Political Consultant and University of Oxford trained researcher Ebonique Boyd. She will investigate what the Libertarian Party of New York wants in new candidates and how to lower barriers to help more Libertarian candidates run in local elections in 2021. 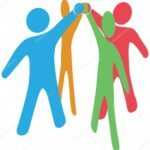 · How would you want to be recruited to run for local office? · What barriers keep you from running? · What would you like to see in a training program? Ebonique Boyd has worked in congressional and gubernatorial campaigns since 2009. Her survey research skills were developed at the University of Oxford and Market Research Foundation. She has led a political training program with Higher Heights for America. She has also taught business courses with Good Management and Investments. Join us on Saturday, April 13, 2019 at 11:30 a.m. at Takara Sushi located at 150-11 14th Avenue, Whitestone, New York to hear Carl Lanzisera & Gary Jacobs speak about their organization, Americans For Legal Reform. Should all lawyers be killed? 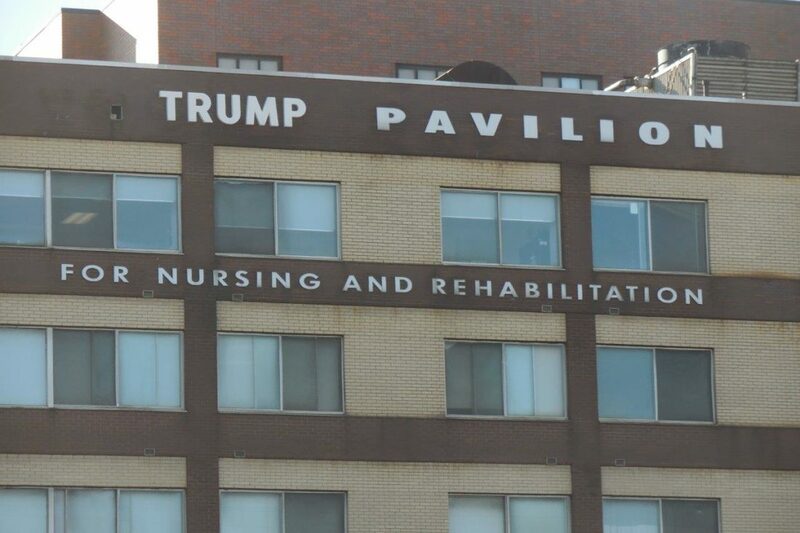 Are there any ethical lawyers out there? 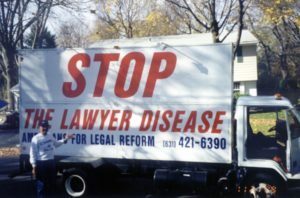 What can you do to reform the legal system? They will speak for 45 minutes followed by 45 minutes of interactive conversation. Many educated and experienced people are being invited to participate in the discussion. Individuals from the Queens Libertarians, America First, Stonewall Libertarians and other groups are being invited to this educational presentation. Join us on Saturday, March 9, 2019 at 11:30 a.m. at Takara Sushi restarantlocated in, Whitestone, New York to hear Dr. Thomas Robert Stevens speak about the United States Nationalist Initiative, a patriotic, nationwide organization founded by Cade Martin, a United States Marine. On March 6, 2019, Cade appointed Dr. Stevens to serve on the National Committee of the United States Nationalist Initiative. Learn all about how this organization hopes to take action to educate American and save this country. He will speak for 45 minutes followed by 45 minutes of interactive conversation. Many educated and experienced people are being invited to participate in the discussion. Individuals from the Queens Libertarians, America First, Stonewall Libertarians and other groups are being invited to this inspirational talk on the future of America. of 56 years raised four children, thoroughbred horses and sheep. Constitutions which are meant to secure those Rights. The NYLP, last November, obtained the 50,000 votes for governor required to become a “recognized party,” entitling it to put its candidates on New York State ballots for the next four years, without collecting thousands of signatures to qualify for ballot access. Down one road, the party can leverage its newly minted”recognized party” status to broaden its appeal, secularize its message, and engage in the give-and-take that is the nature of electoral politics. That means accepting compromise to achieve intermediate goals, joining forces with like-minded fellow citizens on common ground, demonstrating an ability to govern by addressing real issues with practical, non-dogmatic solutions. But down the other road, where the party’s Old Guard seems set to go — is a party increasingly sectarian, more rigidly dogmatic. It’s mission is to defend ideological “principles,” not promote practical governmental solutions to voters’ problems. Emblematic of its self-imposed isolation, the party is adopting a rule that only registered Libertarians may be nominated or endorsed. Standing at the crossroads, the NYLP is presented these existential questions: What is the function of a real political party? Which path leads to actually winning elections? “Today, Wednesday, December 19, John and I went to OLCA (Our Lady Catholic Academy) located in South Ozone Park right after breakfast with Santa at 9 a.m. Having taken a large car from my home from a local car service to arrive at the school, where we were met by the principal, Mr. Coyne, we set up our toys on three tables in the large basement for the pre-K section. We gave out toys from pre-K to part of 2nd grade. Children formed a line from each class to approach the tables in choosing the toys. We finished at 11:30 a.m.
Should Libertarians Organize to Stop New Proposed NY Gun Control Bill? Join us on Saturday, December 8, 2018 at 11:30 a.m. at Takara Sushi located at[masked]th Avenue, Whitestone, New York to hear Jeff Goolsby speak on the topic of Ending Birthright Citizenship. He will speak for 45 minutes followed by 45 minutes of interactive conversation. Many educated and experienced people are being invited to participate in the discussion. Individuals from the Queens Libertarians, America First, Stonewall Libertarians and other groups are being invited to this inspirational talk on the future of America. Jeff Charles Goolsby is a long time classical liberal, libertarian, and Republican. Ayn Rand enthusiast, and architect by trade, he is a graduate of the College of Charleston (South Carolina), and the University of Notre Dame. 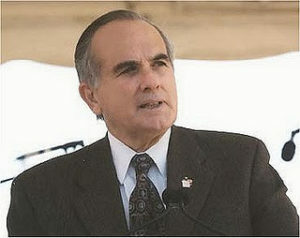 He’s served as a political consultant on several campaigns including John Catsimitidis, and Ron Paul 2012. 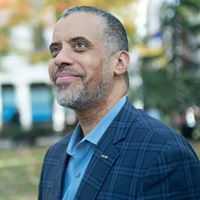 Flushing, New York, November 13— Queens Libertarians (both as individuals, and the organization of the same name) are celebrating the achievement of Queens’ own Larry Sharpe, an Astoria business consultant who served as the Libertarian Party candidate for Governor, and other progress made in 2018. Sharpe won enough votes in the election (over 90,000) to qualify the ballot line for permanent party status under New York election law, for the first time in its history. Libertarians thank Sharpe in particular for operating a full time, seriously funded campaign (he raised over $200,000) that unified its activists, chapters and organizations throughout New York. “I want to thank each and every voter that voted for me. You took a step towards liberty and freedom,” says Sharpe on his ballot victory. “These results will enable the party to much more easily be able to run candidates throughout Queens, and the rest of the state,” adds Tom Stevens, President of Queens Libertarians (or QL). Sharpe has been a member of the organization for years and a frequent speaker, as part of the successful Libertarian education speaking program it has run through its 24 year straight history of monthly meetings. Stevens also announced, when state party Chair Jim Rosenbeck spoke to the group in August, that the QL contact list had grown 33% since last December. In 2018, in addition to maintaining an over 400 active email and member list, it held a convention, holiday dinner, speaker program and 12 monthly meetings featuring guests including Murray Sabrin, Bill Schmidt, and 2018 LP gubernatorial contender Larry Sharpe. 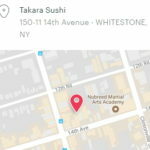 QL meets (since 1994) on the second Saturday of each month at the Takara Sushi restaurant in Whitestone from 11:30 AM to 1:30 PM. 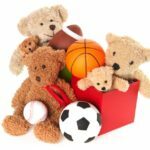 At their December 8 monthly meeting, the Queens Libertarians will also hold its annual toy drive for charity, and invites Libertarians in the NYC area to attend to donate new or gently used toys. Drive Coordinator Michelle Yaskel estimates they will deliver over 170 toys for homeless black children, through the family shelter support program Restfull Nights, at its Jamaica office in mid-December. 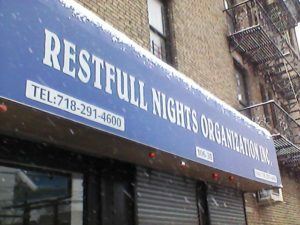 The achievement, being the 18th straight toy drive conducted since 2001, will be honored by the shelter program when several QL members attend the Restfull Nights Christmas Party, held right after the Queens Libertarians annual Holiday Dinner on December 22. Members believe this action used the dispute simply as a pretext for removing its standing to object to the expulsions, since the reconsideration of that issue was never constructively resolved. QL expects its positive achievements and fully active organization will result in a re-merging or restoration of its status and/or members with LPNY, through a future state convention or committee, or by Sharpe himself. 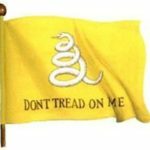 The Queens Libertarians plan to further celebrate its history on their 25th anniversary in 2019. Update: Roughly 300 toys were collected as of December 8, a new record for the drive. Due to a lack of communication from and disagreements with Restfull Nights, the toys will be distributed to other recipients. Please join us on Saturday, October 13, 2018 from 11:30 a.m. to 1:30 p.m. to hear Joseph R. Concannon speak about Kavanaugh & The Midterms. The event will take place at Takara Sushi located at 150-11 14th Avenue, Whitestone, New York. Mr. Concannon will speak for 45 minutes followed by 45 minutes of interactive conversation. Mr. Concannon is President Emeritus of the NY Metro InfraGard Members Alliance, an F.B.I. partnership initiative bridging the gap between the public and private sectors, which he led for twelve years. His vision and relentless pursuit of excellence pushed the InfraGard Members Alliance into the national spotlight, helping the F.B.I. expand its national membership and providing road map for alliances around the nation to establish similar programs. At the helm of NY Metro InfraGard, Mr Concannon developed and produced leading edge educational programs, including: monthly security summits, IGtv, a security and risk management broadcast channel; trusted partner conference calls; on-demand internet based distance learning; and the InfraGard Learning Series. Under his watch, the NYC Alliance provided education and professional development to over 5,000 security professionals hailing from over a dozen different industry verticals. Mr. Concannon was awarded the prestigious InfraGard National Linda Franklin Memorial Leadership Award and led the NYC Alliance when it received the 2012 InfraGard Community Outreach Award. Prior to InfraGard, Mr. Concannon has a distinguished 25-year law enforcement career with the NYPD. There, he successfully met challenges ranging from planning city-wide emergency management protocols and operations to directing and coordinating the early computer operations and LAN management for New York City to providing city government oversight. Mr, Concannon prepared the public safety section of the Mayor’s Management Report and was chiefly responsible for creating and providing analysis for Emergency Management Operations. He also served as Chair of the Local Emergency Planning Committee and Mayor’s Office Emergency Response Protocol. See October meeting notice for more details. John Clifton of the Queens Libertarians and The Peace and Freedom Report blog shares his concepts and views on “growth hacking liberty” on an episode of Brooklyn Public Access TV’s Hardfire hosted by recent Manhattan LP Chair Ron Litchman.